Confession: I am intimidated by poetry. Reading and Writing History. If you look over the back catalog of the show, you will find a dearth of poetry represented. partly this is because I have such an abundance of novelists, essayists, and other more mainstream-length books to discuss with people. But, to be fair, I haven't gone digging for poetry. I feel vastly uneducated in that realm and I suspect many people out there feel the same way. 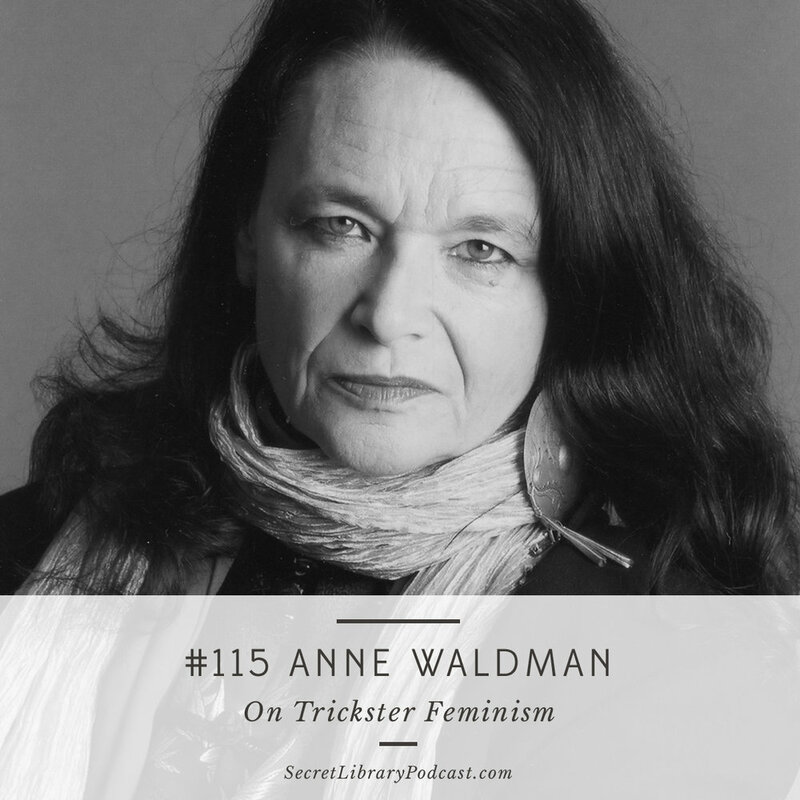 For this reason, I was delighted to read Trickster Feminist and to have the opportunity to speak to Anne Waldman about poetry and the role this collection, and the genre as a whole has played in her life. If you think poetry is a remote Ivory Tower activity or something limited to something your inner 15-year-old anguished self could write, this episode is going to turn that notion on its ear. We talk about these poems but also the process of writing a poem and building a relationship with poetic language. I love Anne Waldman, and I know you will too. This book is born out of the current moment and the protest culture that's developed in response to our current political culture. It's a different book than her last couple, which were long pieces worked on for years. These are shorter poems, more tied to the moment. "There was a whole ethos behind it, and also an urgency." On why this book right now. Conscious nods to figures in feminist history like Judith Butler, Simone de Beauvoir, and Marguerite Duras. On staying engaged over 40 years of social activism. "Keep the world safe from poetry!" One of her founding slogans at Naropa Institute. "Poetry can help wake the world up to itself." Why poetry is more important now than ever. "It was poetry that woke me up to things." On encountering poetry at a young age. "The prescription for me was turning to poetry." On using poetry to help understand current events. "This is not how it has to be." How poetry can explore other ways of living. "There will be singing, but you might have to be singing about the dark times." Why creativity is essential whether times are happy or hard.